HubSpot also recommends the complete guide to QR codes. 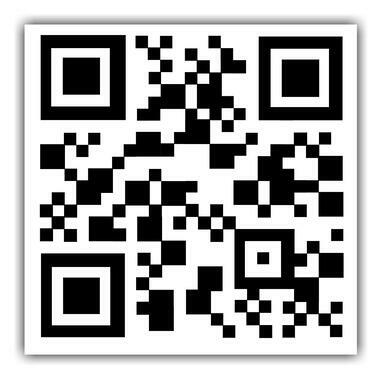 Select a QR code generator. Choose the type of content you're promoting. Enter your data in the form that appears. Consider downloading a dynamic QR code. Test the QR code to make sure it scans. "Really? We're talking about QR codes?" Fair reaction. For several years now, QR codes have been at the center of the popular "___ is dead" trope we marketers love to argue when talking technology. We've even debated it ourselves on this blog. But if there's one thing the QR code debate shows you, it's that there sure isn't a consensus -- the efficacy of QR codes still hotly contested. Nonetheless, there's no denying the popularity and convenience of the QR code. Keep reading to learn how to create your own QR code, and how you can encourage your customers to scan them when they come across your content. QR codes, short for "quick response" codes, are square-shaped black-and-white symbols that people can scan using a smartphone to learn more about a product. These encrypted squares can hold links, coupons, event details, and other information that users might want to take with them for referring to later. Although not every QR code is shaped like a perfect square, they're most often found looking like the image above -- with varying patterns displayed inside. You'll often find them on direct mail, signage, billboards, and even commercials where you can quickly scan the code on the screen using your phone. Does the rise of QR codes mean traditional barcodes are a thing of the past? Of course not. Traditional barcodes are still a common way for businesses to identify consumer packaged goods (CPGs) and manage their product inventory. Barcodes are typically rectangular in shape, requiring scanning devices to read the barcode's data horizontally. QR codes are often square-shaped, displaying their data vertically or horizontally. Due to a QR code's square shape, it can hold much more data than a barcode. In fact, QR codes can hold hundreds of times more encrypted characters than a barcode. QR codes are often used differently than barcodes. Barcodes hold key product information at the point of sale, such as the price and name of the manufacturer. QR codes offer more passive and intangible information, such as location data and URLs to promotions and product landing pages. Originally designed in Japan for the automotive industry, marketers adopted the barcodes because of their large storage capacity and ability to translate additional information to consumers beyond what creative and/or packaging could convey. So if you wanted to create, say, a bus stop advertisement promoting your podcast, you could display a QR code on that printed ad that brings people right to your iTunes page when they scan it with their phones. Pretty simple, right? The QR code creation process is pretty straightforward. Here's how to get started. There are tons of QR code generators out there. The best ones give you many options for using your QR code, and compatibility with most mobile QR code reader apps. Other things to look for when choosing a QR code generator are whether you can track and analyze performance, and if it allows you to design a code that's unique to your brand. Some QR codes, for example, display logos and other icons within the code that immediately tell people what information they'll get from scanning it. Step 2: Choose the type of content you're promoting. Let's select one of the QR code generators above and do a walk-through together. I'll select qr-code-generator.com, one of the eight preferred QR code generators above. First, select what type of content you want your QR code to show the person after they scan it. You can choose from one of 10 types, as shown in the screenshot below. For our purposes, we'll promote a URL that directs users to our podcast. Step 3: Enter your data in the form that appears. Once you select the type of content you're promoting with this QR code, a field or form will appear where you can enter the information that corresponds with your campaign. If you want your QR code to save contact information, for example, you'll see a set of fields where you can enter your email address, subject line, and associated message. 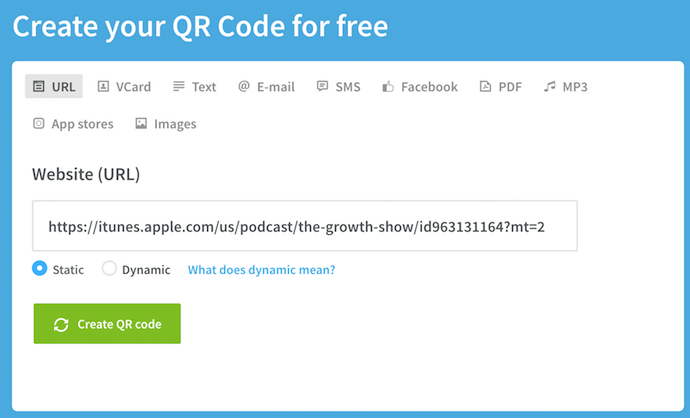 Step 4: Consider downloading a dynamic QR code. See the option below for "dynamic"? One significant pitfall to making a QR code is that you can't edit the data it contains once you print it. But with dynamic QR codes, you can edit this data. 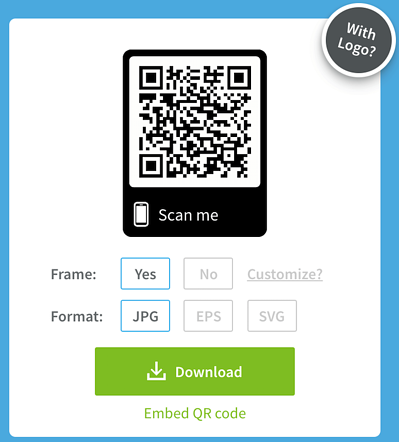 With a free membership to QR code generators like qr-code-generator.com, you can print a dynamic QR code, scan it, and pull up an editable form where you can modify the data your visitors will receive when they scan the QR code themselves. The fun part of creating QR codes is customizing the design of the codes to your brand. Want your code to look like your logo? Go for it. Want it to reflect your website's design scheme? No problem. Using qr-code-generator.com, we can customize our QR code by clicking the button to the top-right, as shown in the screenshot below. Keep in mind not every QR code maker offers this design option -- depending on the QR code you're looking to generate, you might find some tools limited in their functionality. Of course, you can customize your QR code further -- adjusting the colors, adding a logo, creating social options, and more. Step 6: Test the QR code to make sure it scans. Another great free tool is QR Code Reader, which automatically takes you to whatever it “reads.” Apple's Passbook also offers a built-in QR code reader on iOS 7, so you should test to make sure your code is readable there, as well. Step 7: Track and analyze performance. Just like any marketing campaign, you should follow up on any collateral or campaigns using QR codes to see whether they're actually working. How much traffic comes from each specific code? Are people scanning your code but not redeeming their offer once they get to the landing page? Or are they not even compelled enough to scan your QR code? Knowing this will help you troubleshoot and adjust your poorly performing QR codes to more closely mirror those that work well. I recommend you include a UTM tracking code on your URL so you can better measure performance -- this is particularly important if you use closed-loop marketing analytics, and are used to more in-depth reporting on your campaigns. Now that you see how simple the QR code creation process can be, let's talk about some best practices that'll help increase the likelihood your QR code actually gets used. Display your QR code where it's convenient for people to scan. Put QR codes in places where scanning is easy, and there's enough time for the consumer to actually scan the code. While you may often see QR codes on billboards and TV commercials, they're not exactly the most user-friendly locations. Think of places and mediums where consumers have the time to scan the code, and, ideally, a Wi-Fi connection as well. 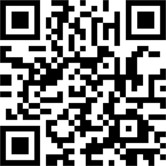 Optimize the QR's destination page for mobile devices. Mobile-optimize the page to which you're sending people. Consumers will be on their phone when scanning the QR code, so they should be brought to a page with a positive mobile experience. Include a CTA that prompts people to scan your QR code. Offer a call-to-action (CTA) with the code -- that is to say, tell people what they're supposed to do when they see the code, and what they'll receive if they do it. Not everyone knows exactly what a QR code is, and those that do won't be motivated to scan it unless they're sure there's something worthwhile on the other side. 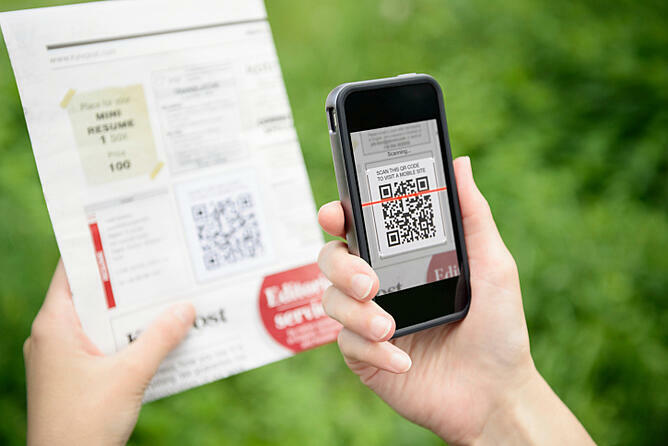 Don't limit your QR code to one mobile scanner. Don't require a special QR code scanner. Your QR code should be app-agnostic so anyone can scan your code with any reader. A lower barrier to entry makes success more likely for you and the user. Use your QR code to make someone's life easier. Don't use a QR code just for the sake of using one. For instance, it's common for marketers to think, "How can I bridge the offline experience with the online experience? Uhhh ... QR code!" That's not wrong ... but it's not always right, either. If you have content that makes sense to deliver to a mobile user, and you have an appropriate channel to do it (see use #1 at the beginning of this section), it's more likely your QR code will drive results. For example, in South Korea, grocery store chain Tesco drove tremendous national business growth by using QR codes in subway stations (I guess they have mobile service in their subway stations) to let riders order their groceries while they wait. It's a great example of using QR codes for the right end-goal, at the right place and time. 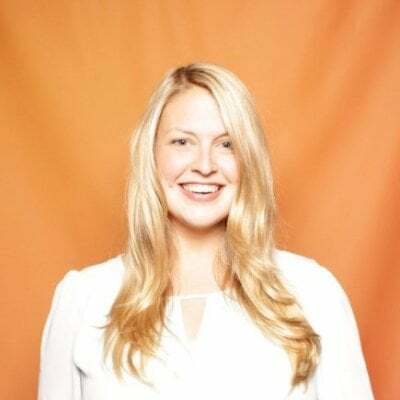 This article from Search Engine Journal has some more examples of good times to use QR codes, as well. If after reading this you’re not convinced QR codes are the right move -- or you just want some additional ways you can connect the offline world to the online world -- consider also adding a short, memorable URL people can type in easily on their mobile phones in your creative. The future of QR codes could also mean an evolution -- augmented reality apps certainly stem from the same concept, after all. Consider the AR News App, which lets readers augment a newspaper story into a child-friendly article by downloading an app and hovering over stories with a special marker (sounds pretty close to a QR scanner, doesn't it?). It may be that QR codes aren't quite dead, but just the first step in a long evolution.